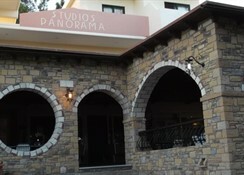 The Panorama Studios and Apartments are designed to offer an affordable holiday to a prime destination while still offering guests with all that they expect from a dream holiday. From the comfortable and elegant rooms to the on-site restaurant and the outdoor pool with relaxing sun terrace, guests won’t have to think about a thing from the moment they arrive. Located just a short stroll from the beach, this quaint hotel offers plenty of relaxation while still putting guests within reach of the inviting atmosphere of the town centre. 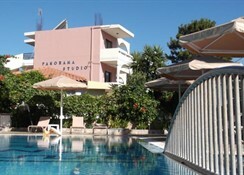 The Panorama Studios and Apartments are a perfect choice for those who are looking for a simple yet exciting sunshine getaway. 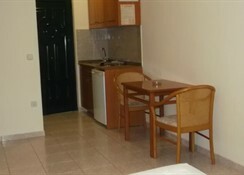 Located in the area of Alykes, guests can find all that they need right here. The beach is 300m away, enabling guests to spend lazy days on the beach while soaking up the sun. There are plenty of bars and restaurants in the area and an array of attractions to visit including natural springs, monasteries and a fortress. However, guests can immerse themselves in this quiet corner of Alykes where they can simply relax and unwind for the duration of their holiday. 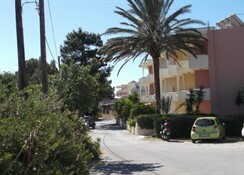 The airport is 25km from the hotel. The hotel has a personal feel to it as it is home to 45 guest rooms including Deluxe Rooms and Apartments. Whether guests choose a room or an apartment the will find a bright and elegant décor with splashes of colours throughout. All rooms come with a balcony and an en-suite bathroom with tea and coffee making facilities, a hairdryer, TV, air conditioning and a safe. 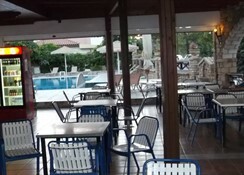 The on-site restaurant serves a selection of dishes each night where guests can explore a range of dishes and flavours. During the day, the snack bar serves breakfast and light bites a well as a selection of drinks and cocktails. There are plenty of restaurants and bars in the area offering even more choice for guests. Here they can find a range of cuisines and family-friendly restaurants that cater to all tastes and budgets. 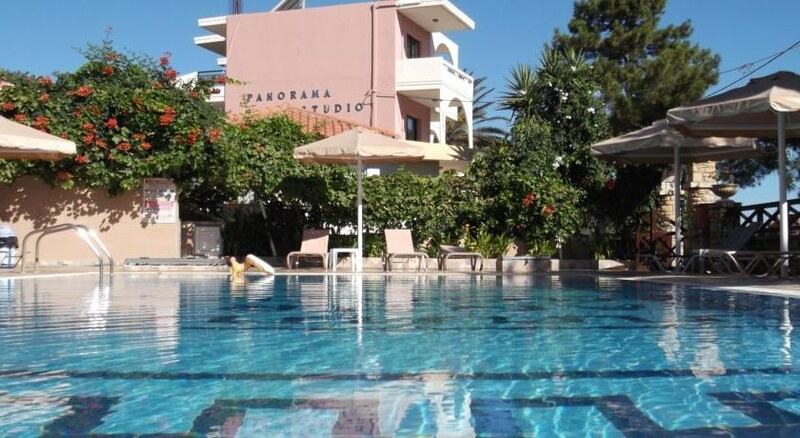 The outdoor pool has a main section for adults and a separate section of the little ones while the sun terrace has loungers and parasol, enabling guests to soak up the sun in style. Outside of the resort, guests can head to the local beach where they can spend time enjoying the water sports or they can choose to explore some of the lively entertainment at many of the bars in the area. 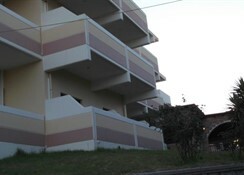 Nice ,clean apartments very customer friendly ,the stay was pleasant and would reommend to anyone who wanted to stay .